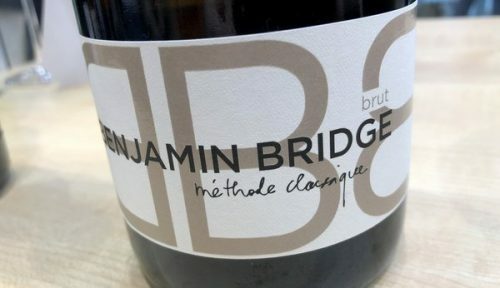 I’ve written before about the sparkling wines from Nova Scotia producer Benjamin Bridge, which I like a great deal. The climate here is cool but moderated by the Bay of Fundy, with the world’s largest tides (16 metres! ), and it enables grapes to reach full flavour ripeness but with high acidity and moderate potential alcohol, perfect for making traditional method sparkling. The 2012 vintage is lovely. Good access here in Alberta but would not mark as high as 90 plus.